Telling people that autonomous driving is already possible is a sure way to raise an eyebrow or two. Cadillac is one automaker who has brought the tech to Canada with its Super Cruise self-driving mode. Having already tried this hands-on in the fall on a drive from Memphis to Dallas, the flat Arkansas terrain between the two was an ideal testing ground. A relatively straight highway, sparsely populated by vehicles for long stretches. 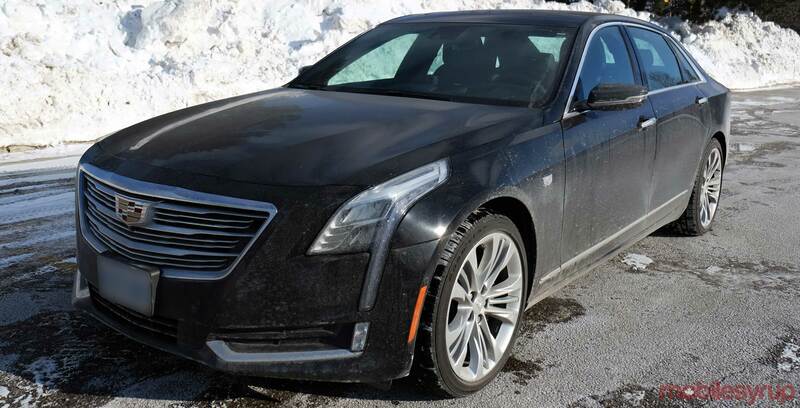 This time, I got to test out the system in a 2018 Cadillac CT6 on my own turf in and around the Greater Toronto Area. In winter conditions, no less. How well does it drive when no one’s grabbing the wheel? Let’s find out. The CT6 will be the first Cadillac vehicle to offer Super Cruise. The feature comes included on the Platinum trim and is part of a $5,750 upgrade for the Premium Luxury trim. I expect it to roll out further to the brand’s other vehicles, including the next Escalade sometime this year. Cadillac doesn’t have sole ownership over it, so other GM lines could adopt it as well. However, it remains to be seen when GMC, Chevrolet and Buick might integrate it into newer models in their respective lines. This is a Level 2 autonomous driving technology, meaning it can drive entirely on its own, yet only within a strict set of parameters. While I outlined how the system functions in my previous hands-on, I will elaborate a little further here. Super Cruise needs three constituent parts to actively work. First, it uses a forward-facing camera to look for lane markings on the road. 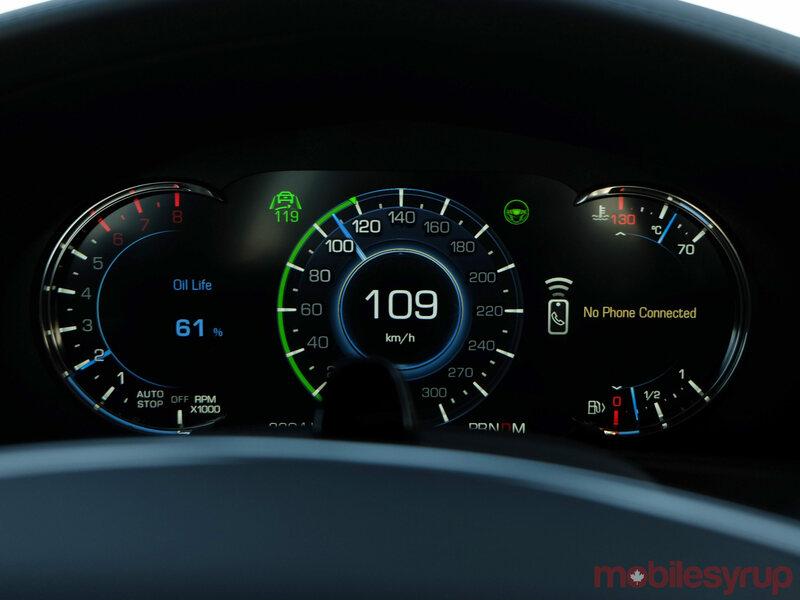 Second, it uses radar sensors to track distance to other vehicles. Third, it navigates through a combination of GPS and LiDAR mapping to tell the car what road it’s on. The three piggyback off of Adaptive Cruise Control and the Forward Collision System. Without enabling those first, Super Cruise never becomes available. The key, though, is that GM had to physically drive and cover the roads the system supports in the first place. 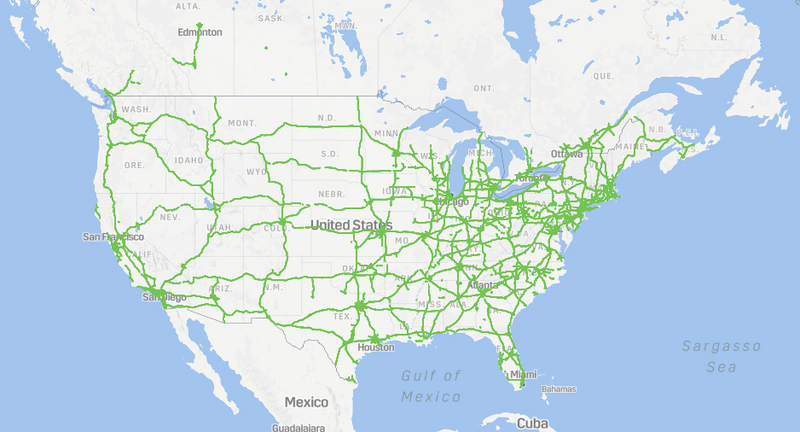 That coverage is far more expansive and consistent in the United States than it is in Canada. The current map gives you an idea of where the limits are, as of this review. Part of the reason, I’m told, is because GM still has to drive and cover more of the country’s highways. There’s no word on when the automaker plans to do that. After all, this system also includes Mexico, so if you’re crossing the border to either country, the mode goes along for the ride. Super Cruise will only work on limited access highways or expressways separated from opposing traffic. A yellow line isn’t enough — there has to be some barrier in between both directions. Friends asked me about the safety involved in using something like this. It is elective, but only when it’s actually available. Super Cruise is only ready to use when the requisite features are on, like Adaptive Cruise Control, and the conditions are optimal. Only when the icon appeared and I pressed the corresponding button on the steering wheel, could I get Super Cruise to take over. I could raise or lower the maximum speed (the limit is 135km/h) on the steering wheel, letting it navigate the road and maintain whatever buffer I chose for cars in front. Since the system can’t change lanes itself, I could do that part manually, and then have it take over once I was centred in the new lane. If I pressed the Super Cruise button again, I would go back to Adaptive Cruise Control, letting me steer manually. Once I pressed the gas or brake, I was back to full control myself. The LED strip on the top of the steering wheel was always green when Super Cruise was active. It turned blue whenever I took over to change lanes. It would flash red every time it didn’t recognize the road, vibrating the wheel and driver’s seat, plus an audible beep to implore me to take over steering. While glancing away momentarily was fine, I couldn’t focus my eyes on something else for long if I wanted to. So, forget reading or even attempting to catch a little sleep. This system is a long way from anything like that. There’s a camera facing the driver, including infrared to see at night, always looking for eyes facing toward the windshield. Look away for too long, and the car throws up an alert to get your attention. The good news was that sunglasses and eyeglasses weren’t a problem. I tried two pairs of sunglasses with different polarities, and never had an issue. While easy to use, there were nuances I needed to understand. I noticed the system would need me to take over at random times. It didn’t look like there was any reason for it, but the only logical explanation was road construction in those stretches that GM will have to recover. Other times, when changing lanes or steering manually, I realized the blue light would only turn green when I stayed in the middle of the lane so Super Cruise could take over again. I knew this intrinsically, yet it didn’t always occur to me on the road. When something like this works, you start to get used to it. And that can lead to silly habits or behaviours. I purposely texted with people to gauge how easy one could get away with it. I leaned my seat back just enough to see traffic ahead, with arms behind my head like I was lounging. I fiddled with controls on the infotainment head unit, browsing music to listen to. It’s not altogether unreasonable to suggest something like Super Cruise can contribute to the already growing problem of distracted driving. It’s just too easy to focus on something else for longer than you normally could. I had less of an issue with it on a longer drive where there few cars around, but in denser traffic, I had to pay attention to the road much the same way. Friends of mine asked about the point of such a system. Why bother having the car drive itself this way? This is naturally based on my experience, but I can say that once you get to feel it yourself, you may find it changes the level of stress and monotony involved, especially with a long drive. Even stop-and-go traffic felt different. Having the car start, slow down and stop on its own, without me having to do much but relax, was like nothing I had ever known before. What might have been a boring and tedious exercise strangely felt like a more soothing experience. That novelty might wear off a bit over time, but I certainly enjoyed it. Toronto was hit with a snowstorm on Christmas Eve, rendering Super Cruise useless. Without being able to see the lane markings, there was no way for the car to know where to go. The elements do impact the system’s availability, which explains why it never appeared when I drove through it. It never rained while I had the car, so I don’t know how it would handle those situations. Driving on a regular, dry night, however, the system worked really well. It stuck to the lane and navigated the road splendidly. Visibility is key, either way. If the camera can’t see the lane markings, the system can’t orient itself in between them. I had the luxury of not only testing an autonomous driving mode, but also doing it for the second time, and on my own terms. It was the best way to gauge performance and safety. What GM has here is intriguingly futuristic, yet also a technology I expect to see as a widespread feature in a range of the company’s vehicles. There’s still a long way to go, particularly in Canada. Coverage isn’t total, and in the areas I covered around the GTA, there were common spurts of deactivation. I wouldn’t be surprised if that was also the case in other parts of the country. GM and law enforcement will also have to figure out what constitutes distracted driving under something like this. As is, though, I found a lot to like about Super Cruise. It works well when it’s on, and it changed the way I interpreted driving on the highway. For the first time, I yielded control on roads I know, and it felt surprisingly liberating. "I leaned my seat back just enough to see traffic ahead, with arms behind my head like I was lounging."